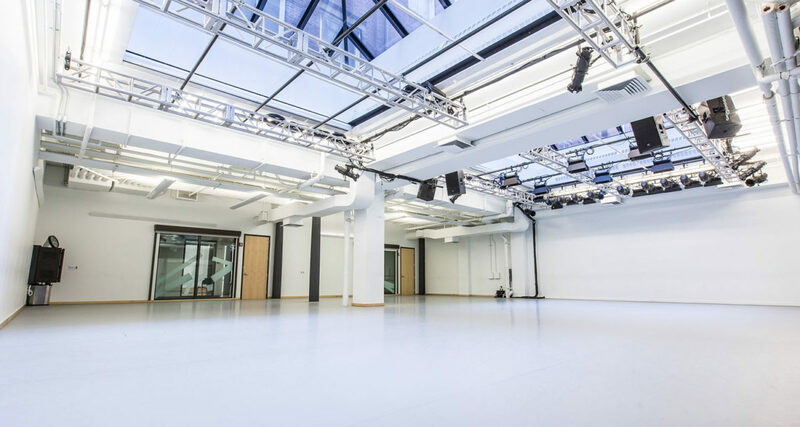 Gibney’s White Box Theater space, Studio C features twin skylights that create an architecturally memorable look. 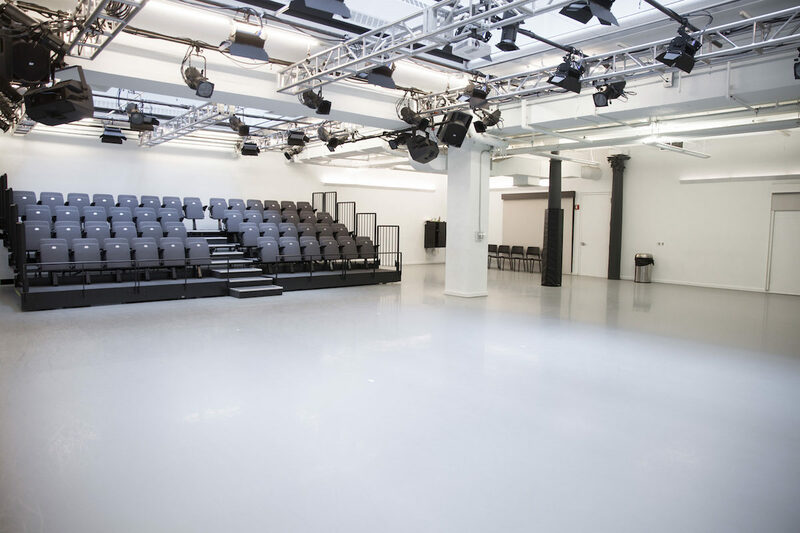 The space is large and versatile, perfect for classes, performances, and events. There are three columns in the space, along with built-in mirrors. Use of shoes prohibited. When Gibney moved to 280 Broadway, Studio C was split into two smaller spaces. In early 2014, we made more space for dance by tearing down the wall at our ‘Bash Bash’ to create one expansive studio with enough room for large classes and performances. The two large skylights in the space make it bright and memorable.